As you're no doubt aware, American publishers sometimes like to mess around with a foreign game's box art before releasing it in the US. 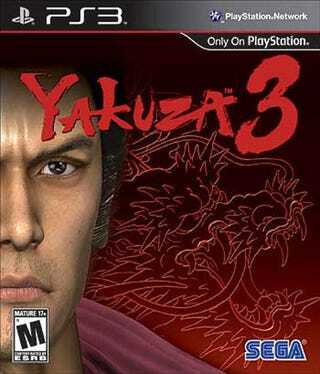 Yakuza 3 is the latest target of this practice. Gone is the stark white background of the Japanese cover, perhaps because - since it's a trademark of a series people in the US may not know has a trademark cover theme - it's not needed. Gone also is the prominent cigarette, though with smoking being eradicated from most forms of popular American culture, that's no big surprise. You can see the original Japanese cover below. While there's a whiff of "2003 Xbox game" about the US redesign, all things considered, it could have been much worse. We're not sure if this art will apply to the European version as well; if we find out, we'll update.